Morton’s neuroma is a very uncomfortable condition to live with. If you think you have Morton’s neuroma, contact Dr. James Kutchback of James Kutchback, DPM, CWS-P. Our doctor will attend to all of your foot and ankle needs and answer any of your related questions. If you have any questions, please feel free to contact our offices located in The Woodlands and Woodville, TX. 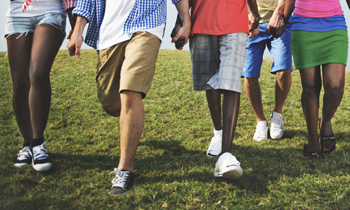 We offer the newest diagnostic and treatment technologies for all your foot care needs. Plantar fasciitis is a common foot condition that is often caused by a strain injury. If you are experiencing heel pain or symptoms of plantar fasciitis, contact Dr. James Kutchback from James Kutchback, DPM, CWS-P. Our doctor can provide the care you need to keep you pain-free and on your feet. 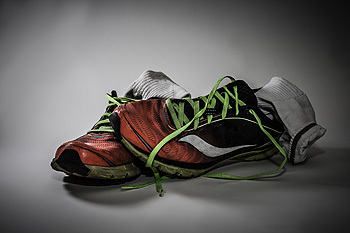 Athlete’s foot is often an uncomfortable condition to experience. Thankfully, podiatrists specialize in treating athlete’s foot and offer the best treatment options. If you have any questions about athlete’s foot, consult with Dr. James Kutchback from James Kutchback, DPM, CWS-P. Our doctor will assess your condition and provide you with quality treatment. If the skin on your feet starts to crack, you may want to see a podiatrist to find treatment. If you have any concerns, contact Dr. James Kutchback from James Kutchback, DPM, CWS-P. Our doctor can provide the care you need to keep you pain-free and on your feet. High heels have a history of causing foot and ankle problems. If you have any concerns about your feet or ankles, contact Dr. James Kutchback from James Kutchback, DPM, CWS-P. Our doctor can provide the care you need to keep you pain-free and on your feet. Because RA affects more than just your joints, including the joints in your feet and ankles, it is important to seek early diagnosis from your podiatrist if you feel like the pain in your feet might be caused by RA. For more information, contact Dr. James Kutchback of James Kutchback, DPM, CWS-P. Our doctor will assist you with all of your podiatric concerns. Sever's disease often occurs in children and teens. If your child is experiencing foot or ankle pain, see Dr. James Kutchback at James Kutchback, DPM, CWS-P. Our doctor can treat your child’s foot and ankle needs. If you have any questions, please feel free to contact our offices located in The Woodlands and Woodville, TX. 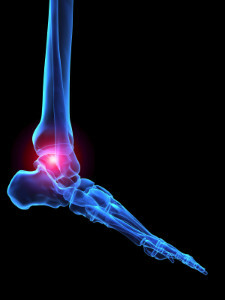 We offer the newest diagnostic and treatment technologies for all your foot and ankle injuries. 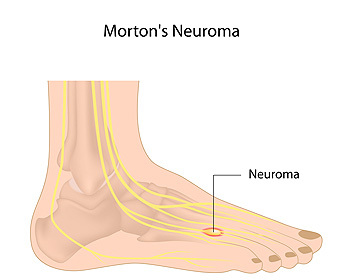 If you notice pain in the bottom of your foot under the toes, you may have a condition that is known as Morton’s neuroma. It is typically caused by a nerve that has become irritated and inflamed. This may happen if the nerve becomes compressed, which may often be caused by wearing shoes that do not fit properly. Symptoms that many patients experience may include a burning sensation in the ball of the foot, a numbing or tingling feeling, or possible swelling. Additionally, pain that may come from that area of the foot may cause difficulty in walking. Mild relief may be found by performing stretching techniques which may help to loosen the affected tendons and ligaments. If you are experiencing any of these symptoms, it is advised to seek the counsel of a podiatrist who can properly diagnosis and treat this condition. The painful condition known as gout is considered to be a form of arthritis. Acute gout is often associated with severe pain and discomfort. Additionally, there are some patients who experience swelling and tenderness in the joints of the big toe and surrounding areas. This condition may occur as a result of excess uric acid that is present in the blood levels. Common reasons why gout may develop may be a result of specific types of food that are eaten, which may include shellfish, juices that are sweetened, or red meat. After a proper diagnosis is performed, which may consist of a physical examination, and checking the uric acid levels, the correct treatment can begin. This may include taking specific medications that may help to reduce any inflammation. If you are afflicted with gout, it is strongly suggested that you consult with a podiatrist who can guide you to begin proper treatment and to learn about preventive measures. Gout is a painful condition that can be treated. If you are seeking treatment, contact Dr. James Kutchback from James Kutchback, DPM, CWS-P. Our doctor will treat your foot and ankle needs. If you are suffering from hyperhidrosis contact Dr. James Kutchback of James Kutchback, DPM, CWS-P. Our doctor can provide the care you need to attend to all of your foot and ankle needs.